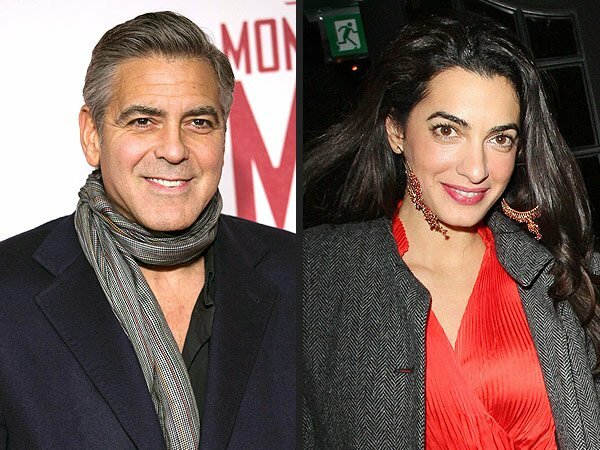 George Clooney and Amal Alamuddin’s highly-anticipated wedding in Venice, Italy, will be paid by Amal’s family, Us Weekly reported. Amal Alamuddin’s parents also had a say in when the wedding would take place. Like George Clooney, Ramzi and Baria Alamuddin were anxious to have the nuptials this fall. An insider told Us Weekly shortly after the couple’s engagement that the Lebanon-born beauty’s mom and dad were “old-fashioned when it comes to these things”. Amal Alamuddin’s mother, Baria, is an editor at Lebanese newspaper Al Hayat. She’s previously interviewed foreign leaders on TV, including Bill Clinton and Tony Blair. Amal Alamuddin’s father, Ramzi, is a retired business professor who taught at the Beirut branch campus of American University. George Clooney and Amal Alamuddin are currently putting the final touches on their upcoming September 27 wedding in Venice.